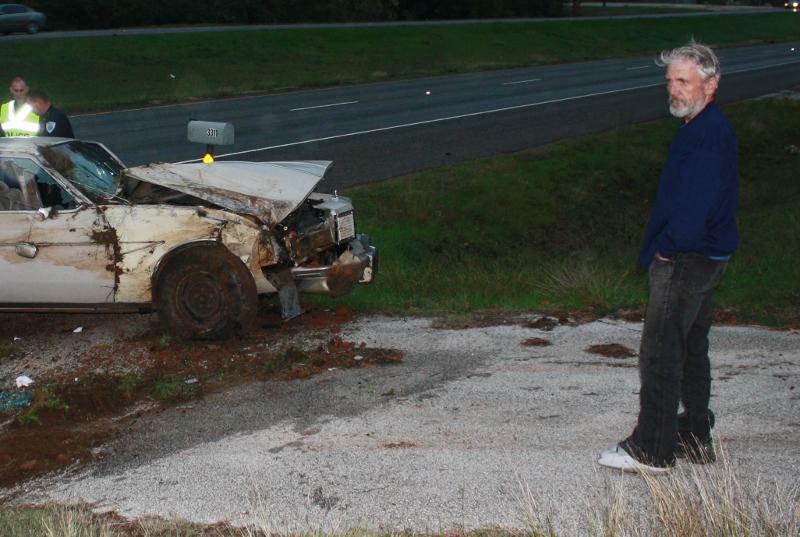 The ground clearly shows where 55 year old Detlev Hartman's 1983 Oldsmobile plowed through the grass before coming to rest upright off the south bound side of US-59. 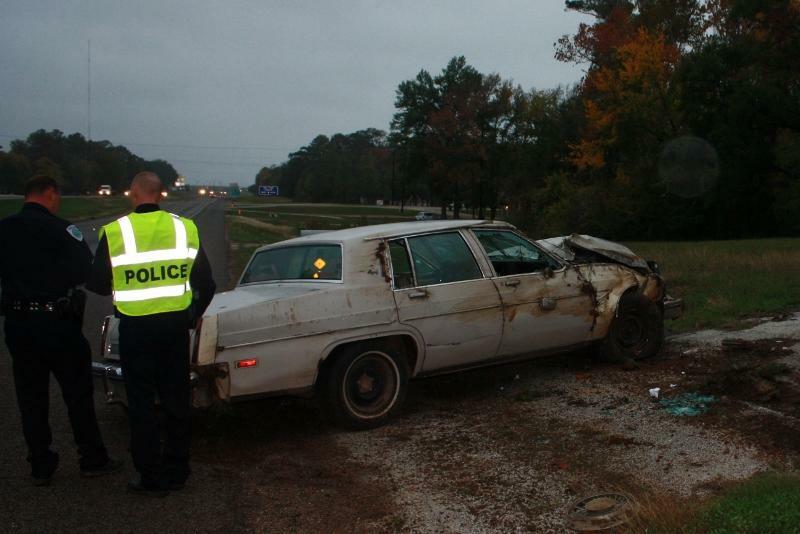 Driver Rolls Vehicle, Busted for Felony DWI, LIVINGSTON, December 6, 2011 - Shortly after 5 pm on December 5, 2011, a white 1983 Oldsmobile sedan driven by Detlev Hartman, 55, of Benton, Arkansas, was south-bound on US-59 a couple of miles north of the Livingston City Limits. 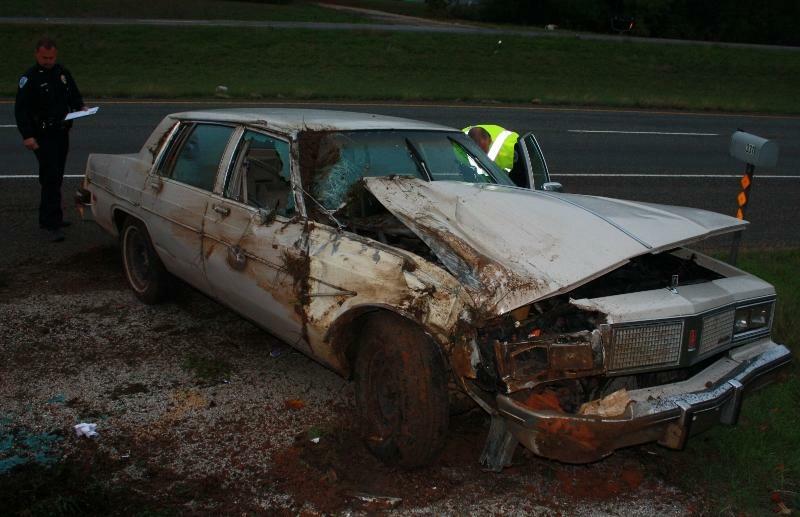 Hartman's vehicle left the road to the right, and turned on its side and finally landed upright facing west. Americare Ambulance Service was dispatched to the scene along with the Livingston Police Department and Trooper Donny Akers with the Texas Highway Patrol. Hartman wasn't injured. Akers conducted a sobriety test on Hartman and placed him under arrest for felony driving while intoxicated (third DWI or more). According to Akers, Hartman was in possession of several different types of pills. Traffic was not blocked during investigation and cleanup. A rollback wrecker from Ken's Towing recovered Hartman's vehicle and it will be stored at Harrison Body Shop in Livingston. 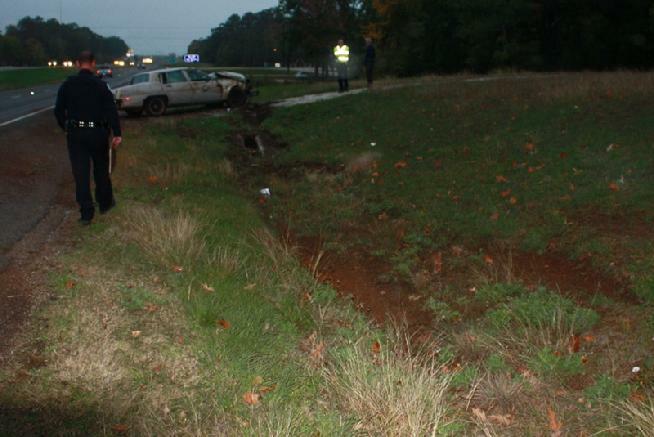 That sinking feeling: The look on Hartman's face says it all as he knows that a Trooper is enroute to the accident. Officers Chad Ward (left) and Adam Williford hold the scene until Trooper Donny Akers arrived. Akers performed a sobriety test on Hartman and place Hartman under arrest for felony driving while intoxicated (Hartman's third or more).